James and I bought tickets to see Tape Face at The Carriageworks a while ago. I was actually purposefully looking for something to see at The Carriageworks as I realised I’d never been to a performance there before. 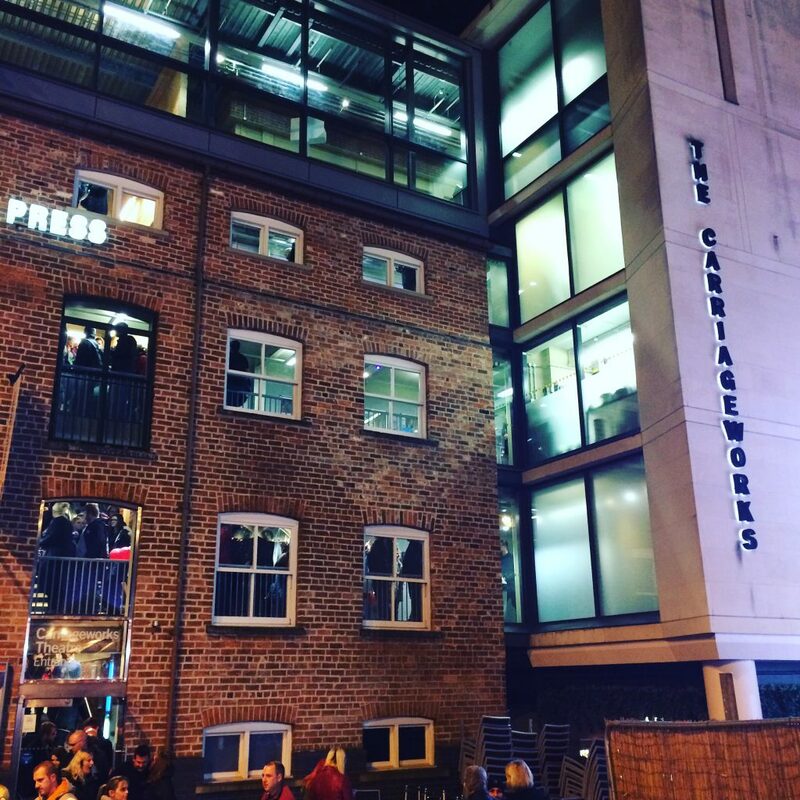 Even if you’ve not been in, you probably will have walked past The Carriageworks before as it’s on Millennium Square, part of The Electric Press – an impressive building that houses a number of bars and restaurants, with a courtyard in the middle, as well as the theatre. Although I’d not seen a show there before, I have been to a writing workshop (led by Clare Fisher) and looked around it as a potential conference venue. 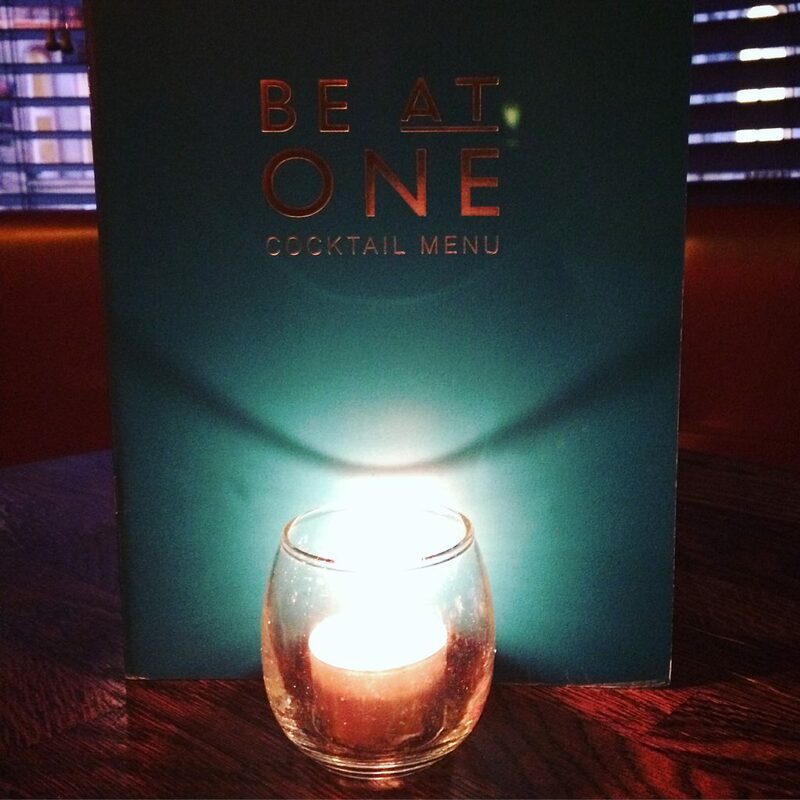 It’s a popular spot, being only a ten minute walk from the train station and close to plenty of bars and restaurants. Knowing that we were going to see a show there in the evening, I decided it made sense to go for some tea and a drink with James nearby. We had a great evening – all contained within the Electric Press. 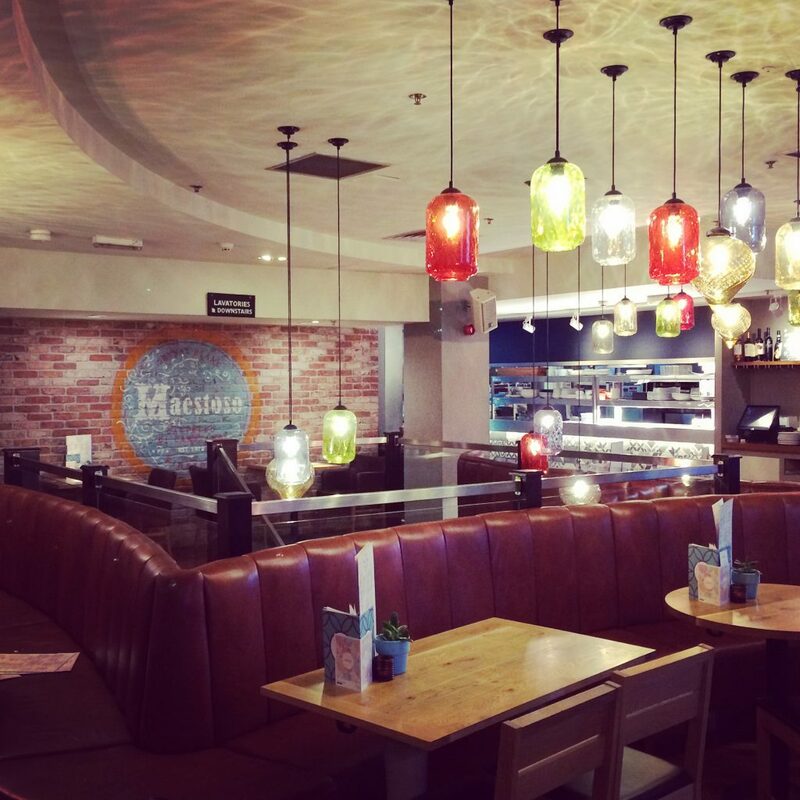 I must admit that it’s not the most amazing or creative food – the meals are pretty standard – but it’s good for fussy eaters, the interior’s nice, and they often have deals on if you sign up to the mailing list. Rather than staying for dessert, we went for a dessert-style cocktail next door at Be At One (not the same as All Bar One!). I’ve already mentioned how much I love Be At One in a previous blog post, but I really do! The 2-4-1 deal makes it nice and cheap and they always have such ace music on. (Music that I love anyway.) 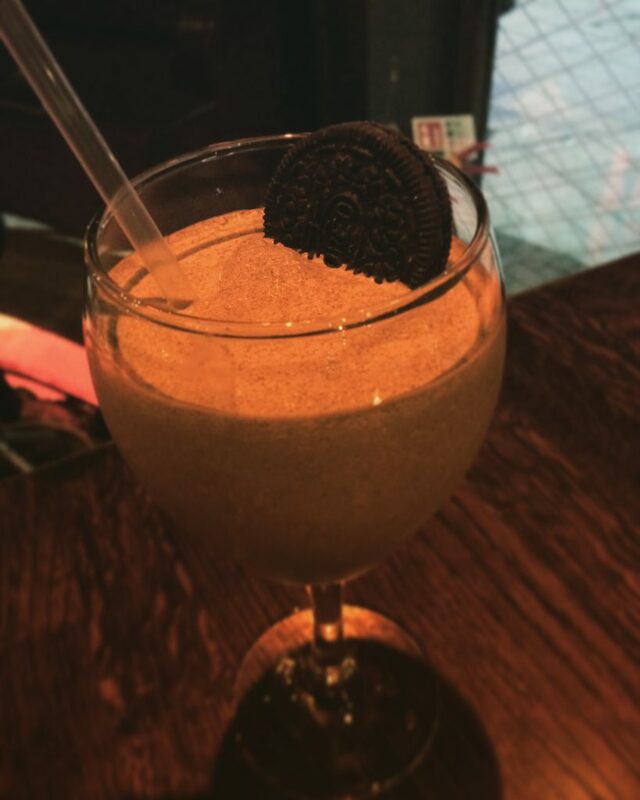 We had an Irish Disco Biscuit (so, so good) followed by an Old Fashioned – also lovely, but slightly odd after having such a sweet, minty ice-cream drink! We then went to The Carriageworks to see the show. The event was actually supposed to be in September, but Tape Face had been on America’s Got Talent and ended up doing a lot better than expected, so had to postpone his tour. It was a cute and funny show. He kept picking on members of the audience to come up on stage though, which is my worst nightmare. James ended up getting selected and had to go up and dance to “Don’t blame it on the boogie.” Despite my worst fears (audience participation and also lots of balloons!) I really enjoyed it. There are plenty of other places to go in The Electric Press as well. There’s Epernay, the champagne bar, and Peachy Keens, an Indian restaurant which I haven’t been to yet but keep meaning to. I also like the look of Souvlaki (serving traditional Greek and Cypriot dishes) so will try go there soon. 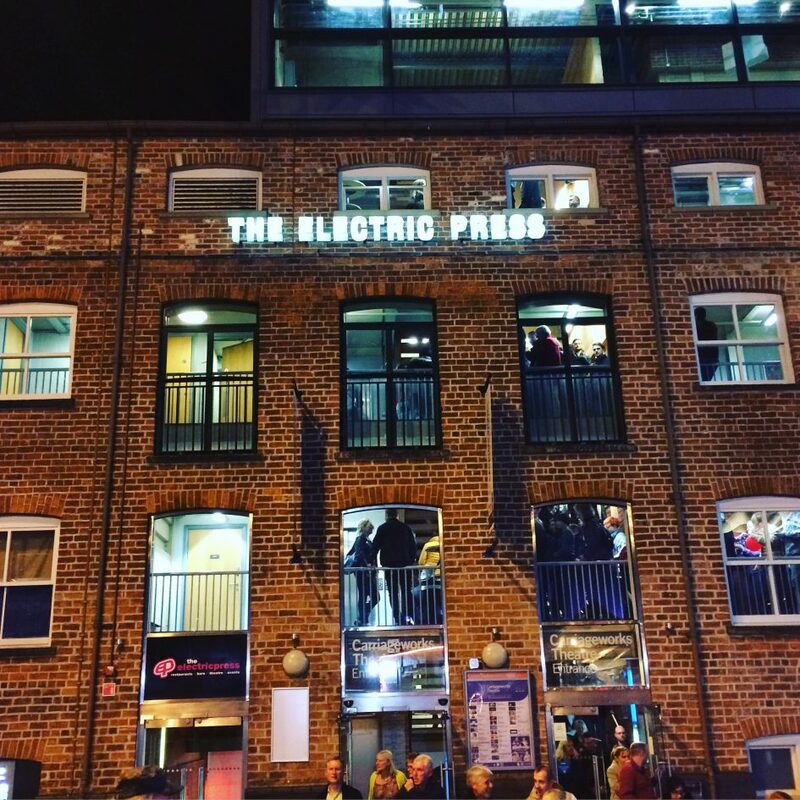 Leeds is pretty easy to get around anyway – most bars and restaurants are in walking distance of each other – but having so much variety in one building, like the Electric Press, is even better.